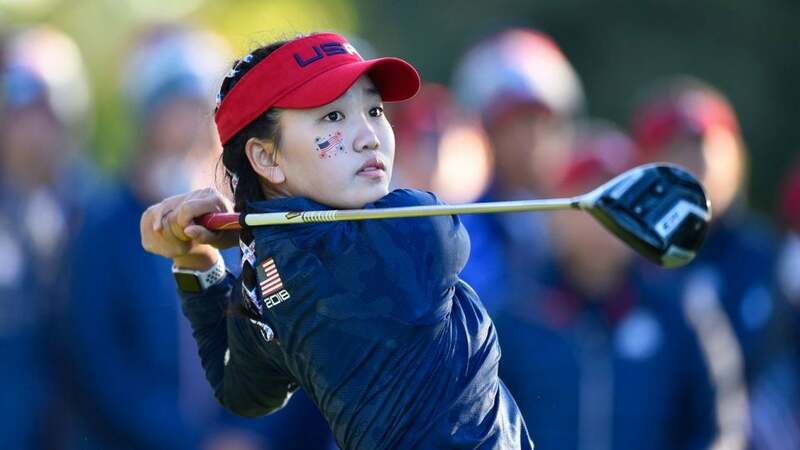 Lucy Li played on the U.S. team at the 2018 Junior Ryder Cup. Early this week, Apple posted a video advertisement for its smart watch on social media that featured the 16-year-old star amateur golfer, Lucy Li. Among those who took notice were officials at the USGA, who have now gone in for a closer look. Under scrutiny is whether Li's participation in the video, a 15-second spot for the Apple Watch, constitutes a violation of her amateur status. "The USGA was made aware of this yesterday and we've reached out to Lucy's family to learn more about her participation in these videos," the governing body said Saturday in a written statement. "We are at the beginning of the fact-finding stage, and it's premature at this point to discuss more. Lucy's family has been fully cooperative and we are thankful for the dialogue." Li told Golf Digest that she is unable to discuss the video because of non-disclosure agreement she signed with Apple. Li's mother, Amy, told Golf Digest that neither Lucy nor her family were paid for her participation in the video. Apple has not responded to an email inquiry from GOLF.com. Under rule 6.2 of the USGA's guidelines, an "amateur golfer of golf skill or reputation must not use that skill or reputation to obtain payment, compensation, personal benefit or any financial gain, directly, or indirectly, for (i) promoting, advertising or selling anything or (ii) allowing his name or likeness to be used by a third party for the promotion, advertisement or sale of anything." The rule makes an exception for amateurs promoting their local, state or national golf association, or a recognized charity. The video in question, which appeared on Apple's Twitter feed on Jan. 2, highlights the watch's fitness benefits. "Sit Less. Move More. Get Some Exercise," reads text at the top. "Apple Watch owners like Lucy make it their goal to do all three every day. Learn more." The accompanying video shows Li alternately swinging a club and celebrating with friends in various on- and off-course settings, and closes with shot of Li under the slogan, "Close Your Rings," an Apple marketing refrain. A member of the victorious 2018 U.S. Curtis Cup team last June and the U.S. Junior Ryder Cup team last September, Li first captured national attention in 2010, when, at age 10, she became the youngest match-play qualifier in U.S. Women's Amateur Public Links history. A year later, she became the youngest person ever to qualify for the U.S. Women's Open. In 2017, she earned low-amateur honors at the ANA Inspiration. She also competed in the 2018 U.S. Women's Open, finishing T-55. Li is currently the 9th-ranked women's amateur golfer in the world. Li had an Apple Watch with her at the 2018 Curtis Cup at Quaker Ridge. According to GOLF.com’s Michael Bamberger, she did not wear the watch during competition, because she knew that it offered more information than the governing bodies permit. The Apple Watch, she said, was a birthday gift from her parents.